Scrooge McDuck is dressed as a Roman artist showing off his beautiful pottery (8th century BC). 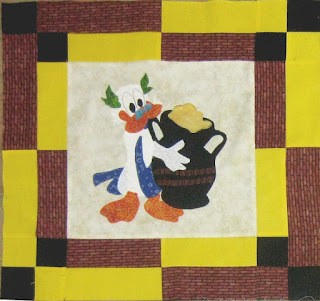 This is the second installment of the "Art with Disney QAL". I have not started these yet, but I have them printed. I am looking forward to making these. Thanks for the patterns.